This is one of my quintessential re-photographs. 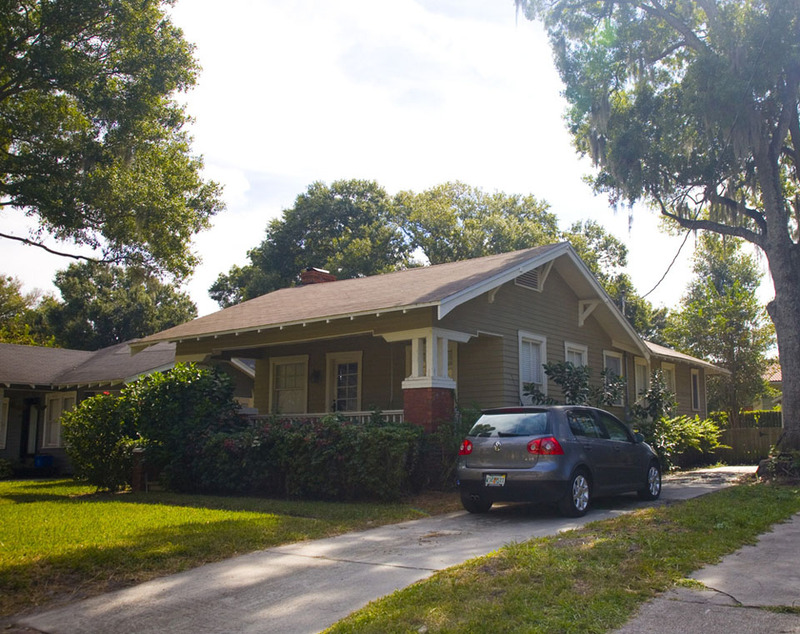 While this quaint bungalow style house in Palma Ceia has changed very little since 1919, the area surrounding it has. This house, which used to be located in the wilderness and be relatively isolated, now has easy access to eight Starbucks and three Walmarts in under three-miles. 816 San Pedro was the address of this home back when it was first built. 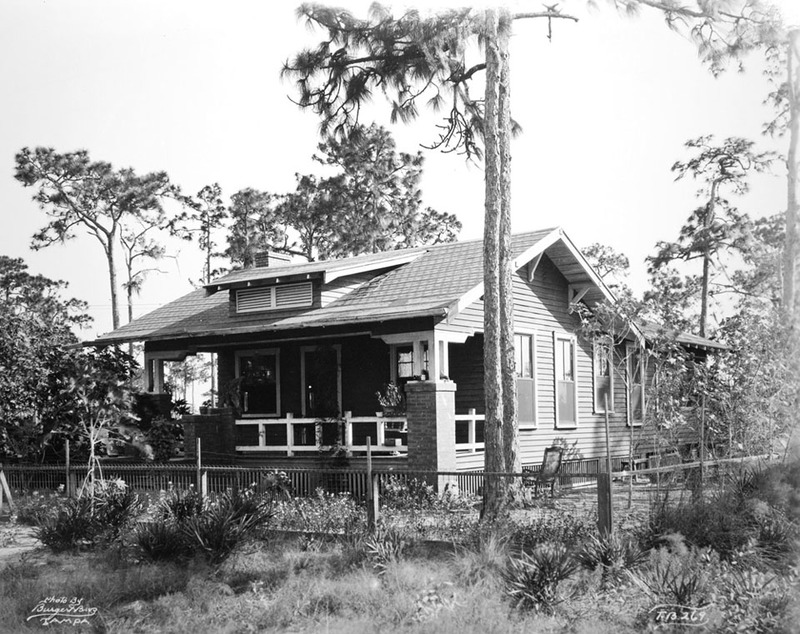 Initially, I assumed that most of the historic homes in this area, whose photos I have, no longer existed. Then I discovered that the addresses were renumbered by a magnitude of 2,500. We got the house power-washed recently so it looks much better now. If you take another photo, knock on the door and we’ll move the car. Your website is great. Thanks. I saw your presentation today on CTV and thought you did a great job. It is unmatched, however, by the hard work and hours you have put in to preserve (and compare) the memories of my adopted town. I am a retired Army Colonel and, like you, have collected photos from the pyramids, Alexandria, Petra, Le Louvre, and other places all over the world. I made a promise to myself that after retirement I would focus more on America (the country I swore to defend). What you have done here in Tampa encourages me to get back on track. Contact me at the email below if I can assist in any way.